Hello everyone, I’m officially back from vacation! It took a few days for me to get back into the swing of things, that’s for sure. But I’m a busy bee now, and kicking things off with some recaps of my trip to New York. Normally when I’m packing for a trip I just kind of take whatever, but in this case we had things fairly planned out as far as activities, so I wanted to make sure to have all the appropriate clothing, ya know? Difficulty: we were going for an entire week, and using public transportation the whole time. In other words, I wanted to consolidate my packing as much as possible because who wants to drag a full size suitcase up and down subway steps? Not I. So I set myself a little challenge of fitting everything (except my purse) into a carry-on bag. Surprisingly, not only did I succeed, I had enough room to bring stuff back and also put some of the husband’s stuff in my bag. Mad skillz, yo. The first order of business for this trip was getting a new carry-on bag. My old one (a hand-me-down from my husband) just wasn’t going to cut it. For one thing, a couple of seams have split and been badly repaired by moi. It’s also heavy, and so bulky that I have trouble getting it into the overhead bins. So off I went to TJ Maxx and found a cute raspberry hard-shell carry-on from IT Luggage that’s lighter and has much better internal compartments for organizing. No bells & whistles like the Raden/Away/Barracuda bags that charge your phone and whatnot, but it was only $65 so that’s a fair trade-off. I planned for a top per day because I had no intention of doing laundry while I was there and I figured I’d probably get all gross and sweaty. I was right on both counts, so that worked out well. Pants and shorts take up more room than shirts, so I took a few that I could wear a couple times each with different shirts. I almost took shorts only, but I was glad for my joggers the last day when it was only 50-some degrees outside. 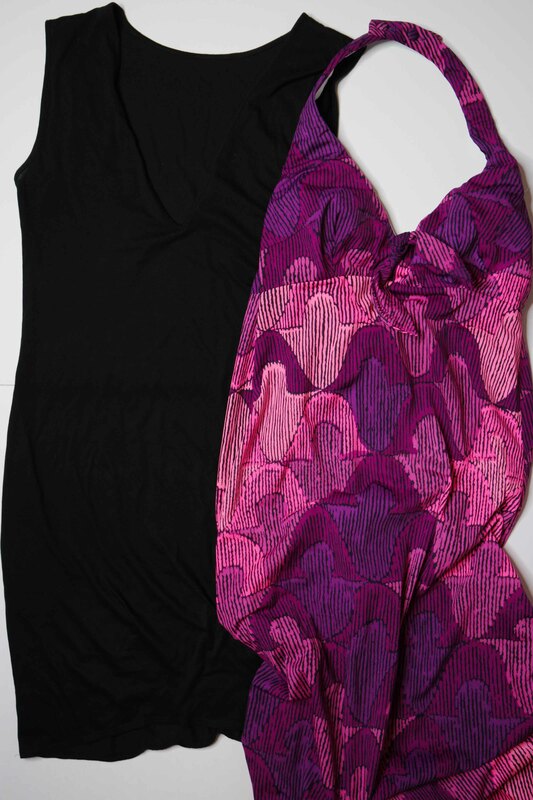 Two dresses for the trip was a little much, maybe, but there aren’t too many appropriate settings for a pink & purple halter dress and I really wanted to wear it. My little black dress is a really lightweight cotton/modal blend so it barely takes up any room at all. I’m a notorious shoe-over-packer, so I was incredibly proud of myself for not taking a whole extra bag of shoes. I actually could have gotten by with one pair, but I wore my Felicia flats for half a day mainly because I felt like I needed to since I brought them with me. I’m going to do a whole other post about the Rothy’s soon because they seriously are the ideal shoe for traveling. I don’t really do pajamas, per se – I just wear something comfy to sleep in. For this trip I took a couple of shirts that look reasonably ok for wearing out of the house in case I wanted something different than my planned outfits. I feel the need to give my Bra Lab bra special shout-out because even though I only took one back/strap (the St. Tropez crochet) I was able to wear it with all my shirts and my black dress – didn’t need to take an extra strapless bra with me. 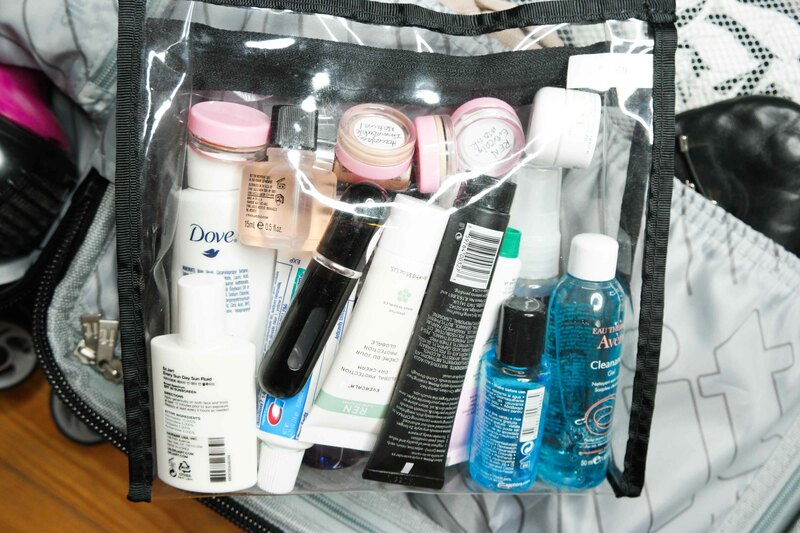 No lie, I think about a quarter of my total suitcase volume was taken up by my bathroom bag (aka Trish McEvoy Ultimate Beauty Organizer, which has been on at least a dozen trips with me & is still pristine). There are some things I just can’t go without and it turns out pretty much everything beauty related falls into that category. My strategy in this area is simple though – take the smallest version possible. Most of my liquids were decanted into sample jars or travel containers I’ve hoarded, and this is the perfect time to break into my endless supply of foil samples. Unfortunately I didn’t make a full list beforehand so I can’t even remember the exact things I took, but you can more or less see how it was organized, at least. I actually didn’t do a ton of shopping in New York this trip because most of my ‘fun stuff’ budget was set aside for my tattoo. Of course I couldn’t resist grabbing a few little bits here & there, though. 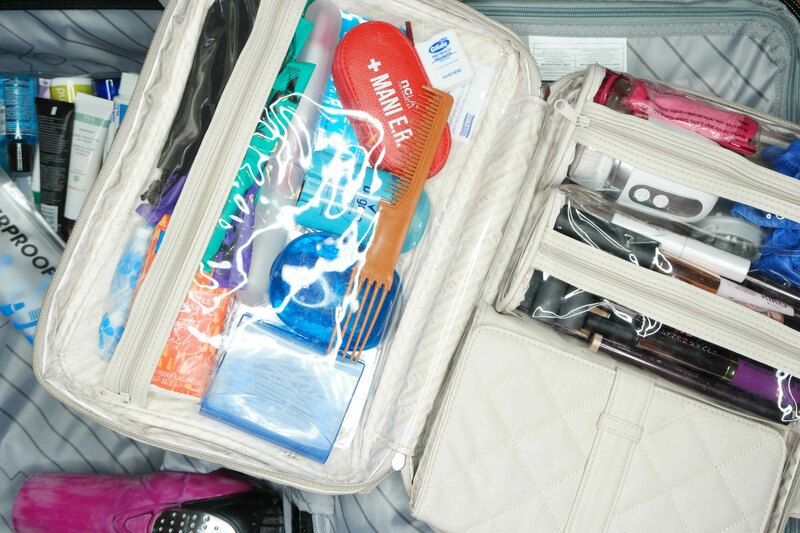 Luckily it all fit in my suitcase – I didn’t even need to open up the expandable section! Governor’s Ball hoodie – I don’t usually do souvenir clothing, but the first night of the festival got really chilly and I had accidentally left my sweatshirt back at the AirBNB. No regrets. Uniqlo lounge shorts – which I’m definitely wearing as everyday shorts because the fabric is a good weight and they’re insanely comfortable. 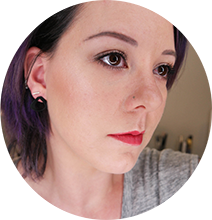 I’ll go more into more details about my makeup shopping exploits another day, but here’s a peek at my mini makeup haul. 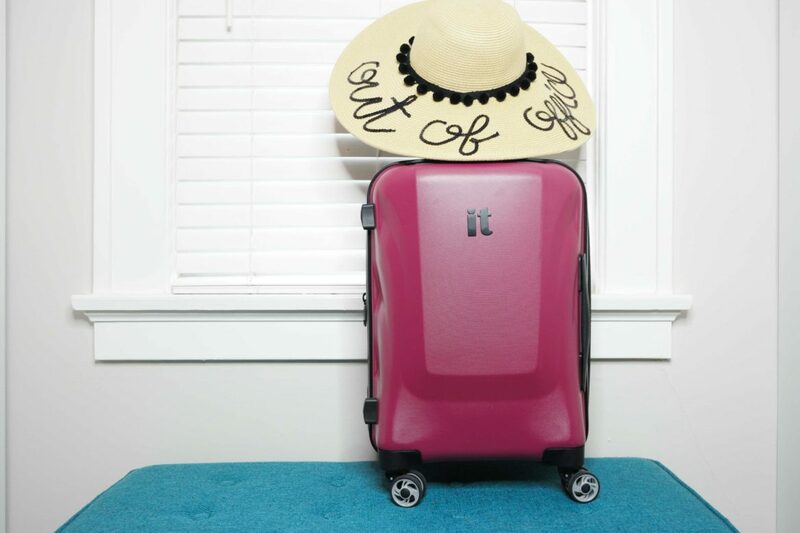 Do you have any upcoming trips you’re looking forward to? 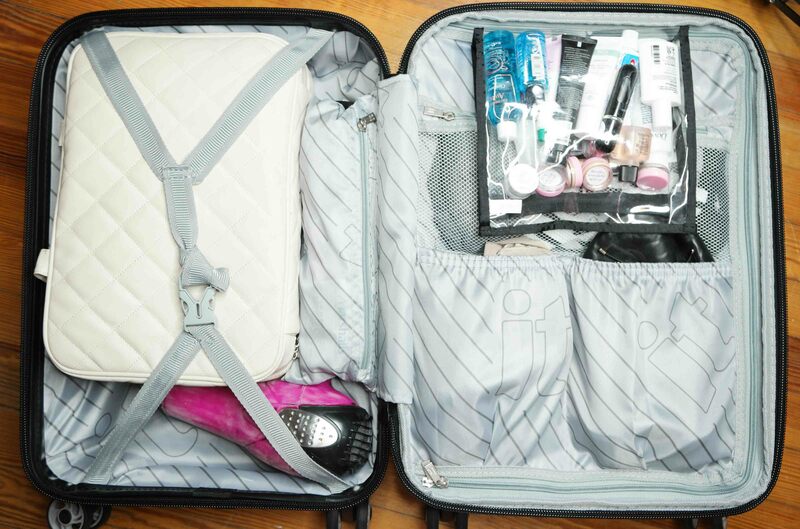 OMG I definitely would totally fail at packing! This is impressive!! You’ll have to give me lessons…..